Paranormal investigation is extremely popular as an amateur hobby among enthusiasts who have experienced strange and seemingly un-explainable phenomenon first hand. Unfortunately, the majority of these potential investigators have no scientific or research background. However, if you are interested in becoming a professional paranormal investigator, there are several areas of training you can focus on to ensure that you conduct yourself as an authentic scientist in the field. Doing so, you will increase your chances of successfully identifying the true source of phenomenon. If you are well trained, you may even be the one to make a true scientific breakthrough. If you need any help or advice with regards to this, please don't hesitate to contact us. Please remember you can download a copy of this information from our downloads page. The small and subtle things can startle you the most. For example, it?s not always the eerie moaning noises that will raise the hairs on the back of your neck, but the fact that the surroundings are far too quiet. Never use movies or TV shows as guidelines for paranormal research. 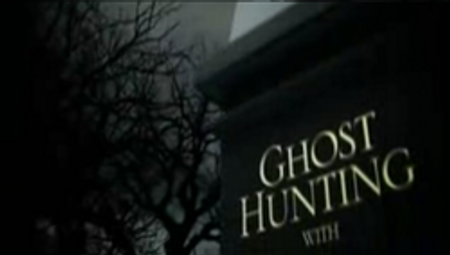 Never expect them to show what really goes on during ghost hunts, and don?t rigidly copy what they do. 2. Never go ghost hunting alone. Always go with at least one other person and where possible tell someone outside the group the address of the location, should you get into difficulty. 3. Verify location, accessibility, safety, and related issues ahead of time. Check each site during daytime hours to identify parking, paths, and hazards. Carry a working torch and spare batteries, even during daytime ghost hunts. 4. Wear suitable clothing, including sturdy footwear and don?t wear any clothes that make a noise when you move. 6. 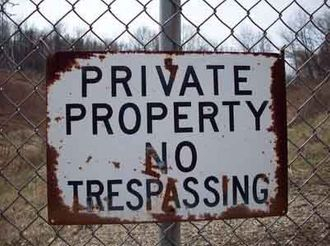 Never trespass on private property. Get clear and specific permission from the owners or authorities. If others have had problems with this, get permission in writing. (Bring your own form for the owner to sign. Leave immediately and cheerfully if the police or owners ask you to, even if the property does not display a trespass sign. 7. If you become unreasonably frightened at any location ? haunted or not ? leave immediately. Always follow your gut instinct if you feel prompted to leave. 8. Remember, you have more to fear from the living than from the dead. Many haunted sites are isolated. They?re attractive to people engaged in illegal activities. Be cautious and alert, if you feel unsafe, leave the area. 9. As your mother taught you, never speak ill of the dead. Avoid sarcasm and jokes in haunted settings. Sometimes, angry spirits seem to ?get even.? 10. Ghosts are not likely to follow you home. If you are frightened and leave a haunted location, the spirits generally do not go with you and they cannot affect your thoughts. However, to be safe, never invite anything back with you, be direct with questions and don?t offend them. 12. Ouija boards are not inherently evil. However, you don?t know who or what is directing the platen, and if the entity is lying. In addition, Ouija boards and related devices have a high incidence of ?opening a door? to unpleasant and dangerous entities. For those reasons, Haunted Yorkshire recommends not using a Ouija board during investigations. There is little known about what these boards are capable of. 14. Remember, you?re visiting a location that a ghost considers ?home.? Be as polite as you would in someone else?s home. 15. Ghosts do not ?possess? people without their consent. If someone or something seems to be taking control, tell it to stop. Put up your spiritual shields. Think rude thoughts at it, and generally picture yourself as a bigger bully than the spirit is. This does work in most cases, again never invite a ghost back with you. If you ? or someone you know ? seems ?possessed,? consult a member of the clergy, immediately. The problem may not be a ghost. 16. Generally, you cannot help a ghost. 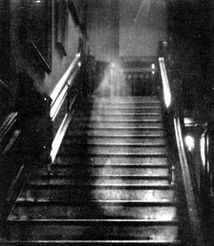 Most ghosts are tied to their earthly locations because they want to change something that happened in the past, or have unfinished business. You can?t change the past, and most ghosts aren?t really interested in anything else. And frankly, some ghosts are like petulant children. They just like attention. Don?t take their ploys seriously. If helping ghosts ?cross over? is why you?re involved in ghost hunting, that?s a ministry. Keep that in mind, when working with a team that may not share your goals. 17. There are no documented cases of someone being seriously physically harmed by a ghost. If you?re worried about this, choose a different hobby. Ghost hunting should be fun. But again be careful in how you deal with these spirits, treat them as a stranger. I mean would you ask a stranger to go home with you? Would you ask a stranger some personal questions? 18. It is reasonable to pay a fee to participate in a ghost hunting event, has many places do charge to hiore the building for staff and security etc. However, on private ghost hunts, if someone is charging you money as if they?re providing a show? perhaps they are. 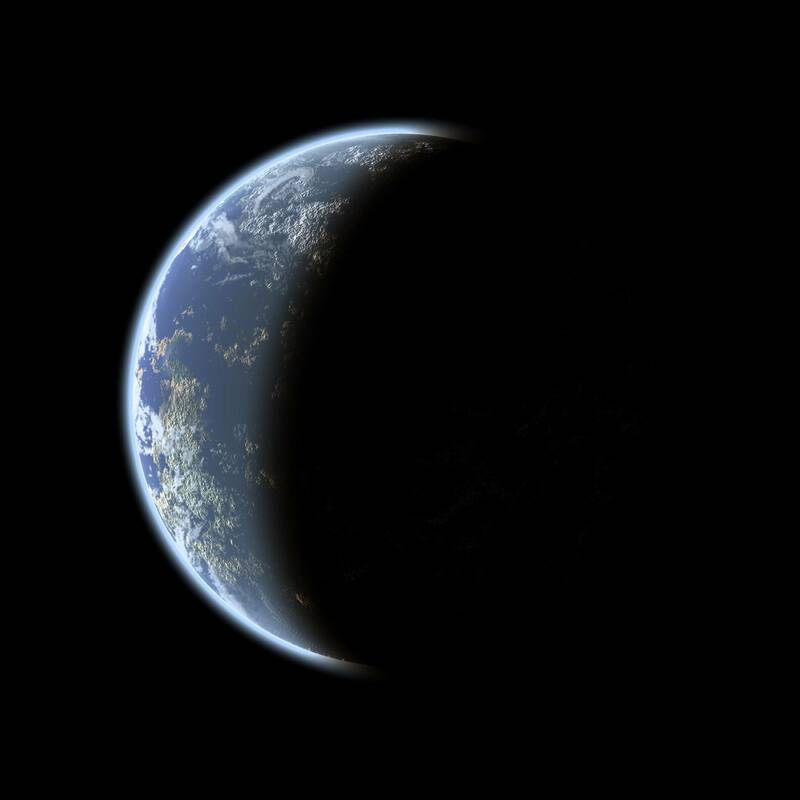 Which then brings in to question, what?s real and what isn?t.. These are some of the opinions of Haunted Yorkshire and are based on over 30 years of paranormal research and investigations, but I don?t claim to ?know it all?. Should you come across something that isn?t on this list then we are always available to answer your questions. Things to think about before you go ghost hunting . Before your first ghost hunt, set your goals as well as your boundaries. When people don’t do this, they can lose their focus or continue ghost hunting long after it stops being fun. Or, they spend too much money on ghost hunting tools and events before realising that ghosts never interested them that much, anyway. Think about why you’re interested in ghost hunting. If you’re keeping a ghost hunting record (recommended), start by writing down your thoughts and interests in ghosts and haunted places. · What attracts you to ghost hunting? 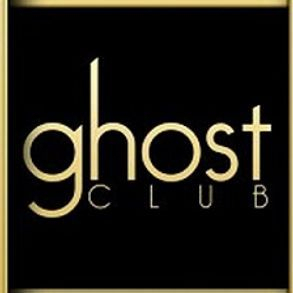 · Are you looking for proof of ghosts? If so, what kind proof are you looking for? Decide this ahead of time. · Is your interest more scientific or spiritual? Choose one and focus on that, at the start. If you’re looking for scientific evidence of hauntings, you’ll focus on measurable phenomena such as cold spots and unusual EMF (Electro Magnetic Field) etc. If your interest is primarily spiritual, you’ll probably develop your sensitivity or psychic awareness. Are you doing this for fun, and does it have to be fun? Decide how frightened or bored (or cold, or tired) you’re willing to be. Most ghost investigations involve a lot of sitting (or standing) around, waiting for something to happen. Often, ghost hunting teams will spend two or more hours in the dark… and nothing happens. Everyone goes home, disappointed. Important: Never stay at a haunted place when your “gut feeling” tells you to leave. There’s usually a good reason, and it might be more about the living than the dead. Take no chances. If you have the feeling you should leave… do. Do you just want to see what ghost hunting is like? If you’re simply curious, it’s okay to stop after two or three ghost hunts. It’s all right to leave in the middle of a ghost hunt, too. You don’t need to explain yourself to anyone. Never continue ghost hunting after it stops being fun. Focus is important. If you’re not paying attention, mischievous spirits can push you, isolate you from your friends, or do other startling things. Even if the site is not haunted, the site may have dangers — insecure and dangerous structures or creepy people around the perimeter — and you might not notice them in the dark. Stay alert. Before you rush out and buy a whole host of equipment, make sure this is the hobby you want to do, over the years Haunted Yorkshire have procured a whole host of different equipment to gain proof of the afterlife. But equally using your own gut instinct first and foremost is normally right. Should you then want to expand your list of tools, there’s a whole host of different gadgets you can buy, keep an eye out on ebay for any groups that’s selling up, you can often get a good bargain there. Some of the main ones are listed below. · Standalone video camera (lots of options in this field, try to go for a night vision option, Sony usually have this feature. Also there are kits with up to 6 cameras available which record onto a hard drive, but remember these need a power source which isn't always possible in some locations. Ask others if you can try their ghost hunting equipment when you’re on an investigation with them. See how the equipment works, and if it’s interesting or too distracting. Get a sense of how ghosts contact you, before you invest in any tools. The only thing that we can suggest for a new ghost hunter is some sort of spiritual protection. In case you’re in a frightening situation, it’s smart to feel protected and reassured. You might carry garlic, a Bible, a pentacle, blessed salt, a religious medal or jewellery, or even your “lucky socks.” Generally, ghost hunters carry something small or unobtrusive. (In other words, be considerate. 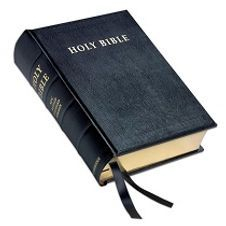 Sometimes, people ask us what to use if they’re Atheists or don’t believe in spiritual protection. That’s difficult to answer. In frightening situations, I’ve seen people change dramatically. One moment, they’re calm and logical, even sceptical. The next, they’re frantic for assurances that everything is okay. If you think anything might have protective powers or be a source of comfort, bring it with you. This could be a photo of your favourite family member, or an MP3 of traditional hymn. It’s not so much what you carry, as your belief that it helps if things turn truly terrifying during an investigation. · Never go ghost hunting alone. Many haunted places are isolated or generally avoided. Safety is a concern. If you encounter someone frightening — living or dead — you should not be on your own. Plus if you have someone with you, you can discuss what you've just witnessed and try and find a rational reason to what that noise or light was? Ghost hunting alone can cloud your judgement and even the hardened hunters mind can start playing tricks on them. A mobile phone is not enough for safety. In many haunted places, perhaps because EMF levels are high, your electrical equipment isn't reliable. So, never think that it’s okay to go to a deserted, haunted place on your own. If you need to call for help, your phone may not work. Make sure you tell someone where you’re going and what time you’re expected back. However, some people try ghost hunting with a few interested friends, first. Either way, find people who share your interests. If you’re a sceptic, you’ll probably have more fun with other sceptics. If you’re a believer, investigate with other believers. In general, keep an open mind and choose companions who are interested in the paranormal but — like you — are willing to objectively consider the evidence. Many haunted sites are haunted day and night. No matter what the location, most ghost hunters get the best results at dusk and after dark. Also many believe that the best time to catch something is 3am (known as dead time) this is when the vail between life and death is at thinnest.). If you’re going ghost hunting with an established, organized research group, follow their schedule. You might not agree with what they’re doing or how they are doing something, but this will help you know which way you’re wanting your group to go should you start your own. However, if you and a friend or two are exploring a haunted place, arrive shortly before dusk. See what’s there while there’s some daylight. Look for the most noteworthy areas, as well as anything that could be a hazard. Look for things like loose boards or a jutting shelf, indoors, or a depression in the ground at a haunted cemetery or battlefield. Also, since ghostly intensity often builds after dark, you can leave when you’re outside your comfort zone… or when you’re simply tired, cold, or bored. The Haunted Yorkshire website lists 100s of haunted locations. Some are old ruins, roads and monuments where you can visit for free and without permission, however, when visiting these locations, be mindful of anyone who lives closeby, they may get frightened if people are wondering around at night, also don’t leave any litter and be respectful to the place, it may be an old ruin, but it’s been there for years and we need places like this to be available in the future too. Haunted Yorkshire has seen a lot of places demolished over the years due to vandalism, ASB and theft. Remember, without historic places there’s no ghost hunting. The week before Halloween, almost every local newspaper runs a story related to a local, haunted place. This gives you several opportunities to learn about haunted places. Ask your friends if the location in the article is really haunted. Ask if they've ever heard of other haunted places nearby. Chances are, they’ll remember other spooky locations, or know someone with a haunted house. Visit the place that was mentioned by the newspaper. The best time to visit – besides Halloween – is during a weekend afternoon. Other people are likely to be there, looking for evidence of ghosts. In my experience, those people are likely to be chatty and know a few other local places that are haunted. Take notes! Most local public libraries keep old newspaper clips in stacks or on microfilm. They may have even more ghost information in their files, sometimes referred to as “vertical files.” If the library has an historical collection, ask to see it. You may find dusty old volumes of ghost stories, especially from the 19th century when Spiritualism was trending. Also, check modern folklore and history books and videos at the library. Whilst writing the books we’ve found some great, accurate stories there. Most libraries have enough resources to require several visits. Try the town’s public library as well as any county historical libraries, genealogical libraries (family history), and historical society reference rooms. If a college or university is anywhere nearby, check their holdings, too. If your community has a regular ghost tour, that’s a great way to get started. Generally, ghost tours focus on public places that you can visit on your own. Go on the tour, note the locations and stories, and return later (or another day) for your own research. However, most ghost tours are designed to be entertaining… not necessarily factual. However, quiz the host they’ll know more information than they’re telling you. Over the years Haunted Yorkshire have seen a number of websites come and go, so search the internet regular, there’s always new websites popping up, but grab the information and store it, because you never know how long the website will be live for. Sometimes, there’s no point in looking for fresh, haunted places. Local ghost hunting groups have already done the research. Though the fad of ghost hunting seems to have peaked (for now, anyway), you may find at least one ghost hunting group near your home. Many of them are very good. Some might be more professional. Others may be more fun. A bossy leader who has to have the last word. He or she has nothing good to say about anyone else, and seems to enjoy ridiculing others. Low key, they’re just mean-spirited jokes at the expense of others. At the other extreme, the person posts flames and even YouTube videos, making fun of other teams or individuals. If you see anything like that, run in the opposite direction. A group with uncomfortable politics, usually two different factions that never actually argue… but tension is there and it’s a distraction. It may be a power play. Eventually, these group splits into two or more smaller groups. Right before and after the split, the situation can become very uncomfortable. A group that doesn't actually do anything. They meet at coffee shops and talk about sites they might visit, and houses they may investigate… but they go on few (if any) ghost hunts. An informal group, where everyone seems independent. Each member has an equal role (and vote) in investigations. Leadership may be structured, but it’s never overbearing. If the group has a website, it looks professional. Online articles, photos, videos, and EVP include thoughtful evidence and avoid unsupported claims. Instead of engaging in flame wars, they simply delete snarky comments at their site. Every member pays his or her own expenses. Team members carpool when a location is distant or has limited parking. The team don’t charge vulnerable clients for investigations, either. A group that regularly investigates a variety of haunted locations, and sometimes gets together to attend local ghost hunting events. Never commit to membership until you’re sure they’re a good match for your interests. This means at least three or four ghost hunts over at least a month or two. Look for a second or third ghost hunting group in your area, and go on investigations with all of them. Compare their good and bad points to make a smart decision about which one (if any) to join. Well, that’s not the worst idea in the world. You might have a great, spooky experience. 1. 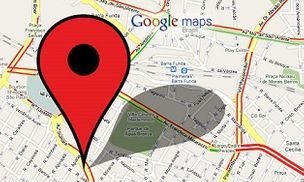 Use Google Maps (street view) to see what the place looks like and what kind of area it’s in. If it’s in the middle of nowhere or it’s surrounded by charity shops and some boarded-up stores, do a lot more research before you go there, even with friends. Look for significant historical sites nearby: Battlefields, cemeteries, sites where hospitals used to be, or a location that’s between two other, verified haunted places. I don’t mean it has to be right next door. You’re looking for two points within a mile or less, and — if you drew a line between the two — this third site would be on (or right next to) that line. 2. If the location is in a safe area, it’s really close to you, and you can drive past it easily, check it out (from safely inside your car). See if you get that “creepy” feeling many people experience near haunted sites. 3. Next, conduct some basic historical and genealogical research. You’re looking for evidence of the ghost (if he or she has a name) and events that could support residual energy hauntings, at the very least. We've recommended many of these resources before, but the following are more in-depth tips for your ghost hunting research. If the haunted site has a staff, security, or other regular workers, ask them if they’ve heard about ghosts there, or if they’ve had any odd experiences. Visit the nearest public library. Ask the Reference Librarian if he or she has any material about the site, especially its ghosts. Even if the only references are historical, they can provide clues. You’re looking for all events with intense emotional content, not just tragedies. Also, at the historical society, public library or genealogical library, look for historical maps featuring the haunted site. They can be excellent resources, with annotations that may be helpful. Establish the facts. Is there any reason to believe the stories about the “haunted” site, or is it just a local legend? Even if a site seems haunted, it’s smart to do a little research before investing time in an on-site investigation. You’re almost ready to investigate a haunted location, or at least a place that’s supposed to be haunted. Find someone (preferably two or more people) to go ghost hunting with. Even if you’re meeting a group of experienced ghost hunters, take a friend along for safety, moral support, and some common-sense grounding. Research the location. We like to use Google Maps. If the area is okay, visit the site in daylight. Whether you actually go there ahead of time or not, don’t just show up at night without a good idea of where it is and what it looks like. For your first ghost hunt, choose a place that’s not too isolated and not in a dangerous area. Ideally, select a site that’s been recommended by someone you respect, and preferably someone who’s encountered something “odd” there. If you’re meeting someone there (as opposed to travelling with them), don’t enter the site until your companion/s arrive. There’s no way to predict — or fully prepare for — what you may encounter. You might feel uneasy. You might be terrified. Or, you might feel disappointed and just want to leave. (Don’t expect to see a full-body apparition. People hardly ever see them. Leave when you’re tired, frightened, or simply not having fun. You don’t need an excuse, not even for yourself. When you feel like leaving, say so and then leave. I know I say this often, but it’s important: Any time you feel prompted to leave a site, or you feel even a little unsafe, leave. Later, you may decide you were being silly. It’s better to be safe and feel foolish, than sorry you stayed and then something bad happened. As ghost hunters, we’re dealing with the unknown. The invisible world isn’t just Casper the Ghost. There are some ugly, dangerous entities visiting use (and some ugly, dangerous people). Your “gut feeling” may be your best alarm system. Trust it, and fine-tune it as you go along. You’ll develop tolerance for “normal” ghost phenomena. However, you should never ignore any feeling that you’re in the wrong place at the wrong time. Get out of there. As soon as you arrive home (or take a break), make notes your immediate thoughts into your ghost hunting journal. A day later, review those notes and any other evidence that you found, like photos, EVP recordings. Add your current thoughts, once you’ve had time away from the site and its spirits. You might feel ready to join a ghost hunting group or start your own. If you’d like to join a ghost hunting team, ask questions. Orbs… evidence or nonsense? Find out the group’s attitudes before you join. Question the group’s policies, beliefs and practices. Don’t feel as if you’re being “too pushy” and they might not like you. Your questions — and their answers — are important. Don’t assume the group is a good match for you, just because a friend is a member, or you’ve been to a few of their investigations and they seemed nice. The kinds of locations they investigate, and any sites they prefer to avoid. The spiritual context of the group. Many ghost hunting teams are members of the same church, or they may all be Pagans. If religion might be an important part of how they deal with ghosts, find out before you join. The team’s usual investigation and meeting schedules. If your Saturday nights are reserved for dates, but the ghost hunting group usually schedules investigations then… that’s not a match. Or, if you like to start research just before dusk and go home by 10 PM, but the team usually arrive at sites around 9 or 10 PM, that’s not a match, either. Membership requirements. Some teams have rigid rules. Members must attend certain organisational meetings, plus a certain number of investigations per month. They may have dues, official group titles and responsibilities, and so on. Find out early. What kinds of haunted sites interest you the most? Do you like (or hate) cemeteries? Private residences? Well-known haunted places? Places that no one else has investigated… that may not be haunted at all? Ask what kinds of sites the group prefer to investigate. Ask about sites the group will never visit, and why. Generally, it’s smart to limit on-site discussions to the investigation. If a comment or conversation might reveal off-topic biases, avoid those subjects from the start. However, people do meet fellow ghost enthusiasts at church, clubs, political rallies, and so on. Sometimes your career, or the company you work for, might lead to awkward conversations… if someone on the team raises the topic. Try to spot conflicts before you commit to joining the group. Almost every team includes at least one member with strong political views, who can’t seem to avoid the topic. That’s normal. The question is how annoying the person (or people) might become, and if that will distract you from your research, or spoil your ghost hunting experience. A few groups are openly faith-based. All of the members might belong to one church, or one general religion. Ask when the team usually schedule their investigations and meetings. Make sure that’s a match for your normal weekly schedule. Ask if they meet at night or during the day. Do they meet on weeknights or weekends? Will most everyone leave for home by 10 PM? Midnight? 3 AM? Do they analyse the evidence as a team or individually, and is there a post-investigation get-together to review the evidence as a group? Is there always a follow-up visit to each haunted site, to debunk questionable evidence? If so, when is it? How often do the team hold organisational meetings, and are they mandatory? How long are most investigations? Does the group keep a strict schedule? Is punctuality important to them? If you prefer to keep your own schedule, is it okay if you arrive early and stay late, or vice versa? Ask what’s expected of group or team members. For example, are you required to attend all non-investigation meetings? How many investigations must you participate in, and how often? Is there a training requirement? Who is teaching and what are their qualifications? Must all team members follow the training advice exactly, or are you free to use what works best for you? · Ask about money, and what it’s used for. In the old days, website hosting could be expensive and members contributed to pay that monthly bill. Today, hosting is available for under £5/month, or some groups are solely Facebook based which is free so that shouldn't be an excuse for membership dues. If your team carries liability insurance — a good idea if you’re hosting paid events or doing private investigations — the team may need to share that expense until the group’s income covers it. · Is it a loosely organised team, or a structured group? Especially if it’s the latter, get everything in writing before you join. An assertive ghost hunter may seem impressive first. After a few ghost hunts, his or her constant comments can become annoying. This is one of many reasons to go on several ghost hunts with a group before agreeing to join. Some people become chatty when they’re nervous. Others want to be left alone, in silence. In between, some investigators like to exchange notes, but avoid unnecessary distractions. A few groups cheerfully mix ghost hunting and “musical-chairs” dating within the group. If that’s not your style, it can become irritating. For some reason, many ghost hunters seem to be smokers, or maybe it just seems that way. If you’re car pooling to sites, make sure everyone in the car agrees about smoking (or not smoking) in the vehicle. During a three-hour commute, tempers can flare if that’s not established ahead of time. Those are the most common issues, but there can be others. · Some ghost hunters think it’s okay to have a beer or two before an investigation. · Some bring their small, fussy children when they can’t find a babysitter. · Some ghost hunters don’t hesitate to bring along a sceptical or giggling date. So, before committing to regular membership in a ghost hunting group, spend time with them. See what their interests and standards are. We hope you find a group (or two) that are great fun to learn and investigate with. I’ve met some wonderful people in this field, and established long-term friendships with many ghost hunters. What happens if you don’t find a team you want to join? In that case, consider starting your own ghost hunting group. Unfortunately, ghost hunting is especially attractive to people whose primary interests are financial gain, celebrity status, or power. We.re not talking about people who mistakenly think they’re more skilled than they really are. I mean the people who look you straight in the eye and tell you lies for personal or professional gain. If you join a group with a self-styled guru, or a con artist works his (or her) way into your circle of friends, here’s what to look for. The first rule is: Never give or loan money to anyone without getting a signed, dated receipt. (It’s a good idea to have a long-time, trusted friend as a witness, as well.) I don’t care how nice the person seems. If it’s a loan, have the terms in writing before you give the person anything. And, never give or loan money that you can’t afford to lose. Keep your money safe. Then, look for other signs of a scam or a con artist. They’re usually fun to be with. They tell great stories, and they seem to have lived the kind of life you’d like to live. They appear to be successful or they look like rising stars. Around them, you may feel like you have a connection with greatness. · Con artists collect friends as quickly as possible. This is partly because they’ll lose so many friends, as people become suspicious. But, the larger their apparent entourage or fan club, the more you’re likely to believe their extravagant claims. You won’t know that dozens (or hundreds) of friends and fans have been deceived, too. · Con artists seem to have dazzling credentials. · Con artists separate people so they don’t swap notes. A con artist leads you to believe that you’re one of the only people he likes and trusts. He says he doesn’t trust this person and then that one. Following his advice, you’ll stay away from them, even if you used to be good friends. The con artist knows that, if you all got together and exchanged stories, his lies might be exposed. The con artists’ larger-than-life claims lead to their downfall. They simply can’t stop lying for very long… and they’re often lying on a grand scale. Some mainstream universities give honorary doctorates, etc., as well. There’s nothing wrong with having that kind of title, and some do require actual work to achieve the degree. If the person claims to have worked with or for a celebrity, you can confirm that. Find the official website of the celebrity, and contact the person’s manager or press agent. Ask if the celebrity has worked with the person who’s making the claim. If the person claims to have been a paranormal investigator for many years, there should be clear evidence of that, online. Even if the person didn't have his own website, other people will have mentioned the person, at least in reference to a case, a “ghost story,” or an investigation. If someone suggests that they've been on a TV or radio show, or appeared on stage, check that online. Go to the show’s official website and search for the person’s name. A claim may seem harder to verify if the show was cancelled years ago. It’s not that difficult. In most cases, show information remains online for years, even decades after the show is all but forgotten. The following are a few older ghost-related TV shows sometimes used as references. This kind of “reality” show became so popular, a complete list would be very long. Some con artists prefer to claim they were on shows so old, it’s difficult to find a reliable list of cast, crew, and guest stars. Ghost Hunters International (includes a full cast list). MTV ‘Fear’ (different from ‘Fear Factor’). Every major ghost-related TV show and movie is represented by at least one webpage or website. If all else fails, check IMdB and Wikipedia. The truth will set you (and maybe a few other people) free. Thanks to the Internet, almost any person’s claims and credentials can be verified using independent sources. Don’t assume that the person is “too nice” to lie to you, or their friends are too bright to be conned. The more impressive the person’s stories and claims, and the more convincingly they tell them… the more you must verify them, independently. If the person is a con artist, it’s better to find out early. Thankfully, scams and con artists are a tiny minority. Though it’s important to be watchful for scams and con artists, it’s also important to keep things in perspective. The vast majority of people who work in paranormal fields are like you. They’re kind, sincere and genuine. You’ll meet many of them at events, investigations, and in the field. They deserve your friendship and admiration, and they make ghost hunting even more personally rewarding. This section is for anyone who’s started your own ghost hunting group. Few teams remain the same month after month, and year after year. Most change as their members change. People join. Some stay forever. Others go to university, get married, have kids, change jobs, or move… and they leave. That’s true of any group in any community. Ghost hunting groups can have frequent turnover. Sometimes it’s about politics within the group, or a disapproving girlfriend, boyfriend, partner, or spouse. Usually, it’s simpler than that: Members lose interest. Frankly, most ghost hunts are boring. It’s not as exciting as it seems on TV, remember the TV show was filmed over 8 hours and then edited down to 45 minutes. Team members stand around for hours, usually in dark locations — and they can cold and bone-chilling, or unbearably hot & humid. If you’re lucky, something finally happens, just when you were about to pack up and leave. Or maybe nothing happens. Usually, someone got an orb in a photo, or thought they saw a figure in the woods or behind a door. Often, that’s as good as it gets. It’s light years away from Ghost Adventures, or “Dude, run!” moments on Ghost Hunters. People expect chills, thrills, and adrenaline rushes. Most of the time, all they get are bug bites and boredom. So, about 3/4 of your members will leave the group. Expect that to happen; it’s nothing personal. Make it easy for people to talk about this. Explain that you know ghost hunting isn’t much fun for most people. You can still be friends, even after the person quits the team. Then, look for new members, or decide it’s okay to have a small, dedicated group. As long as you’re not ghost hunting by yourself, the “group” can be just you and a friend or two. However, if you’re in an area with some great haunted locations, your may have the opposite problem. Your experiences may be so fantastic, people are rushing to join your team, just to be part of your adventures. You may have to limit membership, and be strict about who’s part of the team and who isn’t. Either way, decide now how new members are invited and approved. Is it something formal, with a majority vote, or what? Also, gauge the size of the group that’s most comfortable for your core, reliable members. Supervising more than about 10 people at a single investigation — even in teams of two — is unmanageable and can distract from research and the investigation itself, also remember the more people you have there, the more chance that the unexplainable noise has come from one of the team, knowingly or not. Rustle of clothes and stomachs rumbling etc. We recommend groups of 2 to 4 max, and only give any one person one job. Camera, note taking, calling out etc. You may be more comfortable with larger or smaller groups. Get a sense of this as you go on investigations, and discuss it with others you meet with regularly. You may want to cap membership at a certain number, per investigation, or even in terms of the total group. The main thing is trust, we need to trust the people around us. If there’s an element of doubt that someone is making things up, then its not going to work. You and your team members should always represent yourselves as professionals. At one time, that meant business cards, a logo on your car, and matching T-shirts. Then, some groups took that to an extreme and it looks kind of silly. There is a happy medium (no pun intended). Look like organized, responsible adults, but make sure you won’t be confused with a softball team or a group of realtors. I’ve seen ghost hunting teams that dress entirely in black, so they don’t stand out (and distract team members) in low-light conditions. Other groups ask their members all wear a certain colour shirt (any style) with jeans, so they’re easy to spot across the room (or battlefield) if a haunted site is popular that night. But, many teams aren’t that formal. They may dress alike for paid events or high-profile investigations (including investigations of private homes). For regular investigations, they dress comfortably. Also, avoid, strong perfumes and aftershaves, yes they may smell nioce, but it can often mask smells that maybe were deemed paranormal. Always be prepared for the police to check on you, to be sure you’re not vandals or drug dealers. Avoid extreme styling. Look clean, not scruffy. Carry ID with you, and some cash in your pocket so — if someone wants you arrested — you can’t be described as a vagrant. Keep in mind that the police may be reluctant to arrest you, but they also have to answer to a higher-up who dislikes ghost hunters, or the influential person who called-in the complaint. Smile, be agreeable, speak professionally, and don’t give them any reason to press charges. Most police officers are good and caring people, and remember if they’re going into a dark location with minimal lighting, then they’ll be scared too, they’re only human. There’s a fine line between looking the way the public expect you to, and seeming like a stereotype or parody of paranormal investigators. If you’re in “dress to impress” mode, you’re probably taking things too far. People should remember and respect your expertise and friendliness, not your expensive or eccentric wardrobe. Mostly, looking professional means behaving in a professional manner. Be polite. When people want to talk to you about ghosts, make eye contact and smile. Keep your language simple, and explain words the public may not know. (That includes terms like EMF and EVP.) Avoid saying negative things about other professionals in the field, or about haunted sites and their owners. Conduct yourself in a professional manner when discussing paranormal subjects with anyone… including your friends. Earn respect for your work in this field, and the rest may take care of itself. Many groups and individuals set up websites to share their research results and discuss ghost hunting in general. If you’re setting up a group website, you’ll need a name. Unless you form some kind of legal partnership, one individual will own the rights to that domain name. Make sure everyone understands that, and agrees to the choice. Don’t step on other groups toes and don’t plagiarise other groups names and work. In addition to a website, your ghost hunting team may want a Facebook page, a Twitter feed, a Pinterest board, a Tumblr account, G+ community, etc. Make sure the work is divided among several people. Stay current about emerging social media, so you snag your team’s username early. That’s especially true if other teams have the same or similar names, in other parts of the country or the world. Facebook groups seem to be the most popular… for now. No matter what online resources you use to communicate with interested people, make sure your members monitor the sites for critics, predators, trolls, and flame wars. Blogs, podcasts, YouTube, Vimeo, are other options. Blogs aren’t as strong as they once were, but some teams find ways to keep them fresh and topical. Including podcasts and videos are among the mainstream options for your team’s website. Other technologies are emerging for more interaction with your website visitors, people interested in joining your group, and potential clients. At some point, you’ll need to decide how visible you want your team to be, and how much online activities take time from your research efforts. At best, we’re at the “late majority” phase of popular interest in ghost hunting. If you research what that means, you’ll understand the liabilities of being too open to public criticism, and expecting too much from people who follow your group, etc. If you’re hoping to secure a TV show for your team, I won’t say that ship has sailed, but it’s not a good reason to get involved in ghost hunting. But many paranormal stars now seem to be internet sensations, with live feeds and youtube. Remember why you began this journey. It’s easy to lose sight of what attracted you to ghost hunting in the first place. If you start your own group and decide to share your research results with the world, those related responsibilities will take time from your investigations, as well as your personal life. Start small, with just a few friends or a good local group. Focus on learning to be a good paranormal researcher. In six months to a year, pause. Decide if you want to build an online presence, talk with reporters at Halloween, and so on. For now, focus on the basics. Learn as much as you can about ghosts and haunted places. Develop your observational skills, and learn to use ghost hunting equipment with confidence. (Don’t try to learn it all. Focus on EVP or on photography or on EMF… not all of them, at once.) and remember to make notes, they’re invaluable for future. As you gain more experience, read as many ghost-related books as you can get your hands on. The key to being a professional in paranormal research is to think like a professional. Treat it like any other career, even if it’s a spare-time activity for you. Research ? Start studying all types of unexplainable phenomenon beyond watching reruns of paranormal programmes, however, some of these do have some truths in them. Read up any info you can on ghosts, poltergeists, demonic sightings and any other kind of paranormal activity. Get a sense of the basics and learn the lingo involved in the investigation. Socialize ? Step out of your own imagination and mingle with like-minded people, lots of groups exist now on social media, get involved with the conversations and meet any experts that have experience in your local area. Equipment ? If you?re serious about investigation you will have to invest in the tools of the trade. 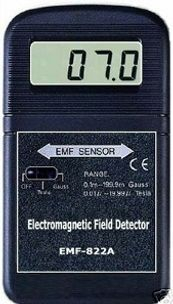 At a bare minimum you?ll need a camera, a voice recorder, organizational and note-taking supplies as well as an EMF detector; a meter that registers disturbances in electric and magnetic fields. Remember these are just tools, always go with your gut instinct and your own personal experiences. · Accelerometers measure even the most minute vibrations of objects. · Video recorders and cameras capture any phenomenon within the human visual range. · Sound recorders measure sound waves (or EMF effects). · Infra-red video and cameras measure fluctuations within the infra-red visual range. · Thermal cameras measure changes in temperature, and often even reveal shapes of patterns to the thermal field. · Spectrum analysers detect energy throughout radio wave and microwave frequency range. · Magnetometer, X-ray and UV scanners measure magnetic properties, internal "structures" and surface properties of objects that move on their own. Experience ? After you are properly equipped it?s time to put your theoretical training to the test. Visit some well knows spooky spots and see what you can find. Interview family and friends about their experiences with the unexplainable. 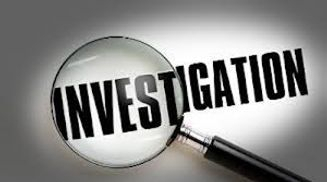 Offer to apprentice with an established investigator and study their approach as well. After all of that you can call yourself a paranormal investigator but it?s still just a hobby until you get a job. The options are to join an existing team or go into business for yourself. Truth be told most paranormal investigators never make it past amateur status. The general consensus in the field is if you want to make money as a Paranormal Investigator be prepared to write a book. History ? History of a location plays a big part in when investigating, many people believe that sudden deaths that are resulted from an accident or murder can cause the place or area to be haunted by a restless spirit. Always check into the history of the location. You can research as much as you like, but keep in mind that most disturbances originate from the location's history. Once you have your evidence ? 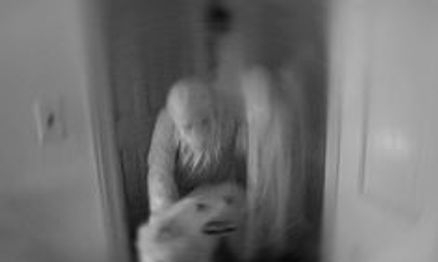 Gather your data, and ask a local paranormal investigation group to look over it with you. Most groups will be glad to help, and will probably have more information to add about what could be causing it.